Explosive and daring exhibition of large-scale collage and sculpture works inspired by and confronting the narratives of the Bible on the 400th anniversary of the publication of the highly influential King James version. A conceptual installation by Tamsyn Challenger created as a response to gender violence around the world. The installation, which received great acclaim when it showcased in a London basement venue in 2010, is shown for the first time in Edinburgh in a dilapidated schoolhouse. A German iconoclast who dropped out of art school to develop his own practice, Henning has become internationally renowned for his museum installation, which he frames and lights and even designs the surrounding wallpaper and carpets. For his first solo show in Scotland Henning brings together furniture, lighting, painting and sculpture to create his Gesamkunstwerk (total work of art). Talbot Rice Gallery, 5 Aug-22 Oct, free. The ingleby Gallery assembles a who’s who of international artists who have create works that challenge the rigid scientism that can overwhelm contemporary conceptual art. Among the artists displaying their objects of mystery and intrigue are Susan Collis, Iran do Espirito Santo, Jeremy Millar, Corneila Parker. Ingleby Gallery, 4 Aug-29 Oct, free. A fascinating exhibition of sculptures by the Indian-born, Turner Prize-winning artist. 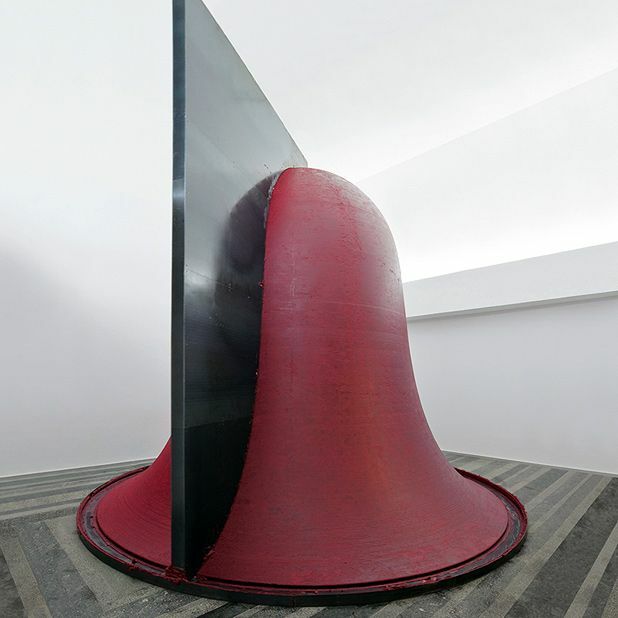 Flashback features a couple of important early works by Kapoor as well as more recent sculptures created from pigment, stone, polished stainless steel and wax and bearing the artist’s signature sensual and captivating style. Edinburgh College of Art, 4 Aug-9 Oct, free. The Fruitmarket presents the first solo show in Scotland by American artist Calame, whose beautifully coloured drawings and paintings are inspired by the urban landscape. The artist creates her work by tracing overlooked patterns such as marks, stains and cracks on the ground before recreating these on paper or canvas. Fruitmarket Gallery, 4 Aug-9 Oct, free. Another Turner Prize-winner, Liverpool-born Cragg is best known for his freestanding sculptures created from found objects and detritus or ready-made items from plastic or stone. This major exhibition, which fills the whole ground floor of the Scottish National of Modern Art, focuses on work created in the past ten years. Scottish National Gallery of Modern Art, 30 Jul-6 Nov, £7 (£5). He may have been one of the most influential American artists ever to have lived but there hasn’t been a major retrospective of works by Robert Rauschenberg in the UK for 30 years. This showcase of works, presented in natural light, brings together paintings and sculptures displaying the artist’s characteristic use of reflective surfaces such as metal and glass. Inverleith House, Royal Botanic Gardens, 27 Jul-2 Oct, free. The first woman to be elected to both the Royal Scottish Academy and the Royal Academy, Elizabeth Blackadder’s work forms the basis of the major summer exhibition at the Scottish National Gallery. The exhibition showcases many of her celebrated paintings, prints, watercolours and drawings as well as some less-known works. Scottish National Gallery, 2 Jul-2 Jan, £8 (£6). He may be better known these days as a playwright and the erstwhile spouse to an Oscar-winning actress, but John Byrne has maintained an equally successful and intriguing career as a painter. This exhibition features works inspired by his plays and screenplays as well as striking figurative and abstract works. Open Eye Gallery, 13 Aug-5 Sep, free. One of the most interesting developments in the contemporary art world over the last 25 years is the emergence of device art. This exhibition focuses on the genre through an exchange of ideas between artists and technologists in Japan, China and Scotland. New Media Scotland, Inspace, 4 Aug-4 Sep, free. Major retrospective of the work of Falkirk-born Edinburgh University and ECA alumnus Dame Elizabeth Blackadder, who turns 80 this year. Her well-loved work covers many media, and subject matter ranges from the everyday to observations made during her extensive world travels. Work by American artist Calame, who transforms real-world marks and tracings (such as tyremarks and stains on buildings) into intricate and colourful paintings. Anton Henning combines different media into colourful and exuberant Gesamtkunstwerke that aim to surround and surprise the viewer. The first large-scale UK solo show of Rauschenberg's work consists mostly of art dating from the 1980s and 1990s. A playful, accessible array of device art from artists practising in China, Japan and Scotland. New works by idiosyncratic artist and playwright John Byrne, coinciding with the publication of a new biography by Robert Hewison, and an appearance by Byrne himself at the Edinburgh International Book Festival on Thu 18 Aug.